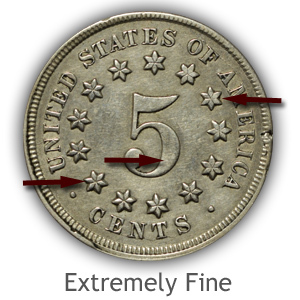 Accurate value of any coin is dependent on condition. 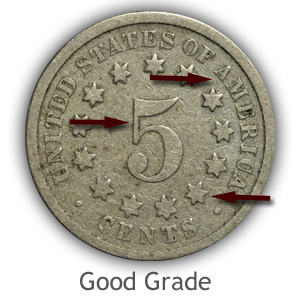 Grading Shield nickels has a few subtle points to judge. Follow the video as examples from Mint State (Uncirculated) to Good condition are described and graded. 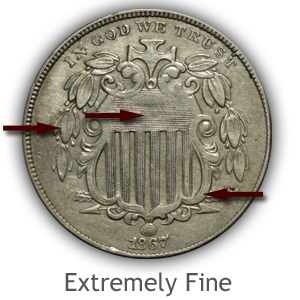 If there are clear horizontal and vertical lines visible with-in the shield of your coin it is sought by collectors. Many dates of Shield nickels are scarce in high circulated condition and command a premium value. Images and descriptions below describe these details to higher grade. 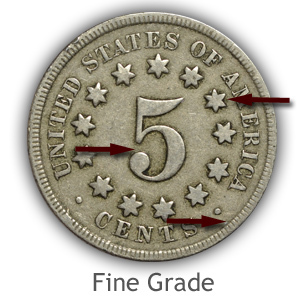 With a little time and study the skills to accurately grade old nickels develop. Your eyes become keen at detecting the finer details. Additional images and descriptions are below. Uncirculated - Mint State Shield nickels are eagerly collected and a valuable coin. Recognizing this grade is important. Details to consider in your judgement include mint luster and faint signs of wear. Typical of a Shield nickel in Extremely Fine condition is ample detail visible. The coin remains "sharp" to the eye. Look for the high-point detail to have a flatness, however minor. Obvious wear covers the design, having a distinct worn appearance. There is however enough fine design remaining to give a pleasing appearance. Extensive wear has removed most of the design, especially the obverse of this 1870 Shield Nickel. The impression of just an out-line is the "look" of the coin. A readable date must remain to have collectable value. 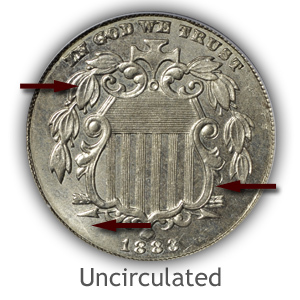 Value differences of Shield nickels from one grade to the next requires an in-depth study of the coin's condition. If a conservative approach is used in your judgement of grade, others will agree, locking in an accurate value. Visit the in-depth nickel grading videos, combined with enlarged images and detailed descriptions. 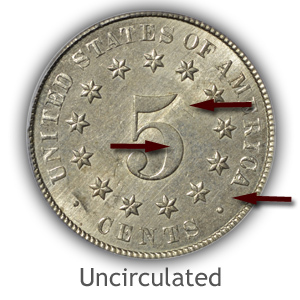 Date and mintmarks on coins are only part of the value process. 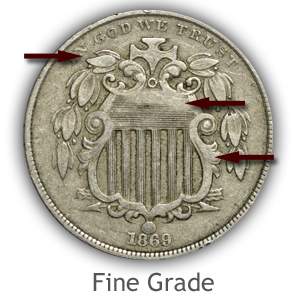 Follow the steps to grading condition and it leads to how much your old nickels are worth, accurately. 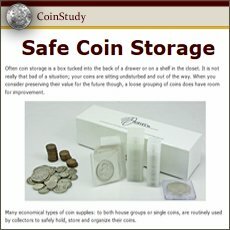 Video index of how to grade coins, videos, close-up images and descriptions of other coin series are found here. 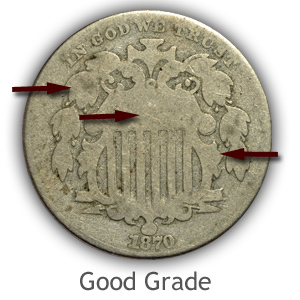 After the grading process visit the listing of Shield nickel values. These nickels are the first nickel alloy five cent US coin. Along with the "first of" status comes popularity and demand for collectable grade coins. Shield nickels are an exciting find in a box of old coins. Today, demand for obsolete and vintage US coins is strong. Many series are surprisingly valuable. Visit the index of series and discover the value of all your old coins.